It is undisputable that truth prevails; no matter how delayed, ignored or snubbed, truth is absolute. It does not hide; when encountered, it's always very glaring for all to see. Hence, fighting the truth has always been a waste of time and energy as it has never been in the history of the world for it to be overlooked. From the above assertion, it adds to our basic knowledge and understanding that the new generation of Biafrans, which stands for truth and transparency, must prevail in their quest to restore Biafra no matter whosever stands on their way to hide the truth about Biafra from the public. It is no longer news that the new generation of Biafrans under the leadership of our eminent Director, Nnamdi Kanu, will be the ones to restore Biafra. It is obvious that Biafrans are all over the world are speaking with one voice and united strength calling for the restoration of Biafra; doing all it takes to ensure the release of Mazi Nnamdi Kanu, a prisoner of conscience. The campaign for his release took a different dimension when Biafrans wrote on every currency of the world: #FREENNAMDIKANU and #FREEBIAFRA. 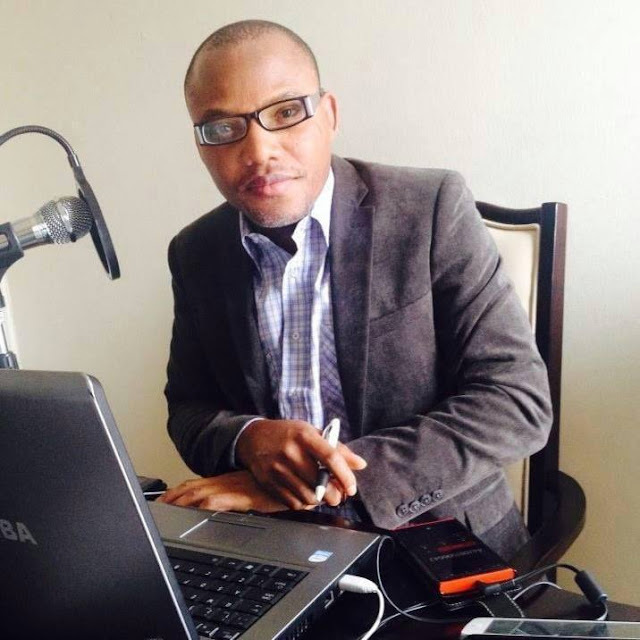 It could also be recalled that lots of protests have been staged all over the world including in Biafra land where over 2 million people came out on the streets to protest against the incarceration of Nnamdi Kanu. Furthermore, the Nigerian government has been dragged to different courts, for violating and trampling on the rights of the Indigenous People of Biafra and Nnamdi Kanu. Scores of Biafrans especially in Biafra land have been killed, while others are locked up and incarcerated for asking for the release of Nnamdi Kanu and the total freedom of Biafra. In a bid to frustrate and suppress Biafrans asking for self determination, Nigeria, under the dictatorship and tyrannical policies of Gen. Muhammadu Buhari, has killed thousands of Biafrans while Nnamdi Kanu is still under illegal detention for asking for the freedom of Biafra. Two courts of competent jurisdiction, ruled that the prisoner of conscience, Nnamdi Kanu should be released unconditionally and be granted bail, but Buhari being a dictator and a tyrant flaunted the court orders and no question was asked by the Judiciary. Meanwhile, IPOB is recording lots of outstanding and unlimited success, as world powers have endorsed Biafra and mandated the Nigerian government to release Nnamdi Kanu and conduct a referendum for the people of Biafra. Once again, Biafrans are set to record another outstanding and immense success, come November 8th at the ECOWAS court. Biafrans are already in high spirit ready to welcome back our eminent and lovely leader, Nnamdi Kanu as there is no doubt that justice must surely prevail at the end. More so, IPOB are keeping their heads high, awaiting their long expected leader, who has been incarcerated only for asking for self-determination of his own people. We are also using this opportunity to alert the international community, to keep their eyes on Nigeria because the freedom of Biafra and Mazi Nnamdi Kanu is not negotiable.